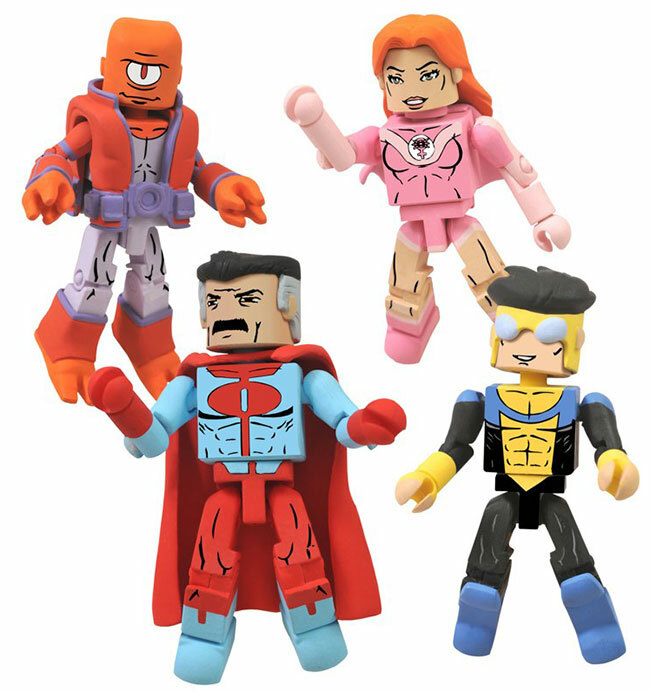 Minimates are Skybound with New Invincible and Thief of Thieves Box Sets! July 2013 - Comic book writer Robert Kirkman may be best known to the world for creating The Walking Dead, the comic series that inspired the smash hit TV show. But in the world of comic books, where he has his own imprint at Image Comics – Skybound Entertainment – he's equally well-known for his sprawling superhero creation, Invincible! The series recently passed its 100th issue, and now Kirkman has re-teamed with Diamond Select Toys, makers of the Walking Dead Minimates line, to make Minimates based on Invincible, as well as his newest hit comic, Thief of Thieves!